With the Memory Speed of a Bullet? Ballistix! 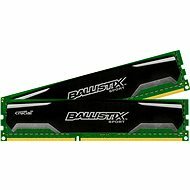 The extremely powerful Ballistix memory modules are designed especially for gamers and computer enthusiasts, but ordinary users can enjoy their relentless power as well. They are built to maintain extreme speeds and a stable performance . There is no need for complicated installation or complicated BIOS setup to utilise Ballistixs' full potential. Baliistix memory modules bring to the forefront perfect timing, quality, increased speed, and maximum compatibility. The operating memory of the Crucial Ballistix Sport is designed for regular and advanced users. It has a very attractive price that is suitable for all those who are looking for the best price-performance ratio. The memory module has a total capacity of 8 gigabytes that allowing your computer to fully unleash its computational energy. Each of the two modules operates at a frequency of 1600 MHz. 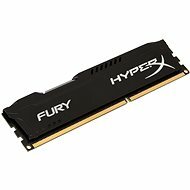 It also comes with a CL9 bandwidth for the DDR3 (PC3) slot with 12800 megabytes/s. It is noticeable at first glance that these modules come with exceptional memory. The sleek design with subtle ribbing nicely complements computers cases with transparent sides. 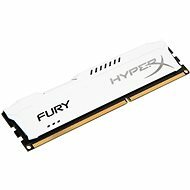 You can easily find out whether the memory module works with your system right on the manufacturer's website. Ballistix Sport guarantees 100% compatibility with the listed products. Every module undergoes rigorous quality control and output speed testing. Attention: Format DDR3 is not backward compatible with older DDR2 or DDR slots. For shipping to other EU countries visit this page Ballistix Sport Crucial DDR3 1600MHz CL9 8 Gigabytes System Memory. Für Versand nach Deutschland, besuchen Sie bitte Crucial 8 GB DDR3 1600 MHz CL9 Ballistix Sport. Chcete doručit zboží do Česka? Prohlédněte si Crucial 8GB DDR3 1600MHz CL9 Ballistix Sport. Chcete doručiť tovar na Slovensko? Prezrite si Crucial 8GB DDR3 1600MHz CL9 Ballistix Šport. Für Versand nach Österreich, besuchen Sie bitte Crucial 8 GB DDR3 1600 MHz CL9 Ballistix Sport. Magyarországra történő kiszállításért tekintse meg ezt a termékoldalt: Crucial 8 GB DDR3 1600 MHz CL9 Ballistix Sport.